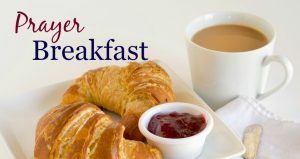 Churches Together Lymm District (CTLD) Prayer Breakfast All welcome. The prayer breakfast marks the start of the Week of Prayer for Christian Unity and is followed by an ecumenical Service of Unity. Breakfast is from 8.30am.